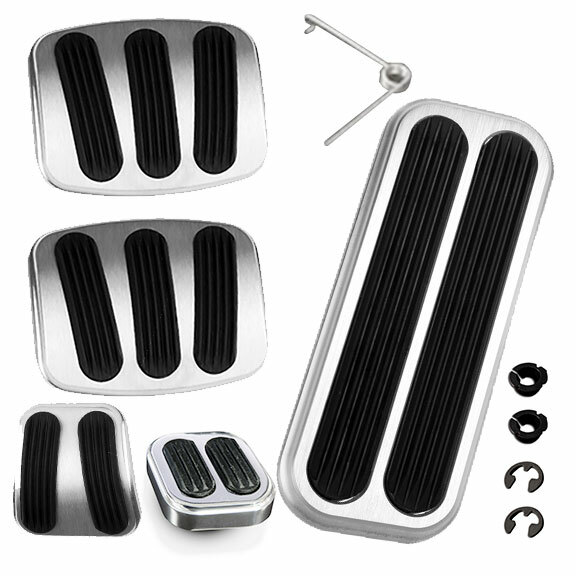 These pedal pads our our premium version of pad that we offer. They feature a beautiful brushed billet aluminum structure with custom rubber inserts for an incredible style and great slip resistance. They are available in the silver with black rubber inserts or in black anodized billet aluminum with rubber inserts. These pedal pads do require minor modification to the brake pedals for installation by drilling for the mounting hardware. Mounting hardware is included.